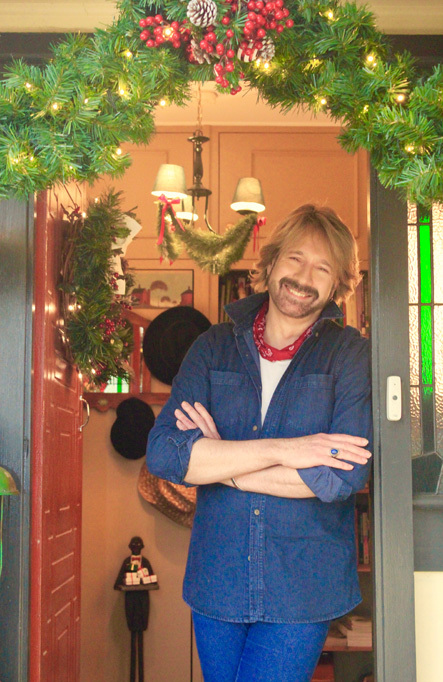 No matter whether it’s the run up to December, or slap dab in the middle of the year, whether it’s March or September, country lovers always have a passion for Christmas. In fact, given the number of year-round Christmas stores which have sprung up in recent times, it seems that a fascination with the charm of the festive season – no matter what time of the year – is fast becoming a global phenomenon! As time has moved on and life has changed, memories have become richer and more vivid, traditions have become all the more important. 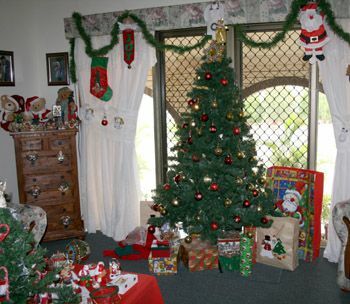 At no time are such things more significant than at Christmas, especially to one lovely lady from Queensland who, several years ago, had to harness so much more strength and determination to carry on the long-held family customs of decorating her home and artfully displaying the Christmas collections which she has gathered together over 40 years. Wendy Melling hails from southeast Queensland, her home of the recent years being a comfortable residence which she and her late husband Ray moved to – from the south side of Brisbane – in order to be closer to their daughter and husband and, since the move, their much-loved grandchildren. 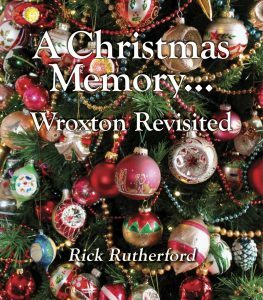 As Wendy tells, it was her cherished grandchildren who really spurred her on this past Christmas, giving her a reason to get out the boxes and deck the halls as she has done for so many Christmases before. Wendy’s daughter Kirie and son Jason also played an important part in encouraging their mum to carry on as she has always done, in the process honouring the treasured memory of Wendy’s late husband Ray. “It was my first Christmas without him and so it really took a lot to get into the spirit of the season. 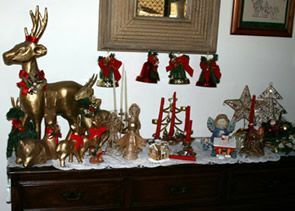 But with the encouragement of the children, and the expectation of the grandkids who were so eager to see Nana’s decorating, I hauled out the boxes and set to work” tells Wendy. 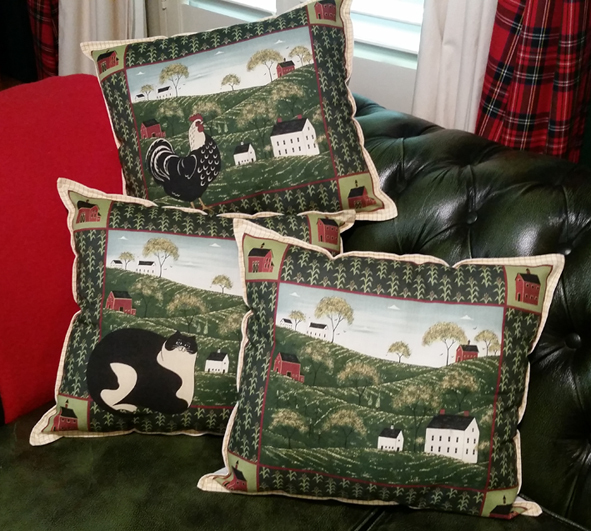 And so, according to her family traditions of old, Wendy dressed the lounge and dining room, as well as the kitchen. She topped the doors of the bedrooms with festive trim and even added a few Christmas accents to the bathroom. 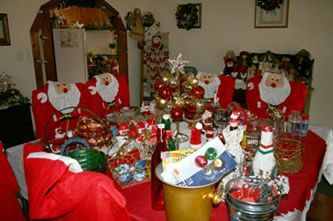 However, the main focus has always been the main living areas of the home where she delights in showcasing her many collected Christmas wares – from angels and Santas to snowmen, reindeers and lots of bears. She has a good number of porcelain Christmas dolls as well, plus over 50 Christmas stockings which have come from places as far away as America and Poland (many courtesy of son Jason who now lives and works in the USA). 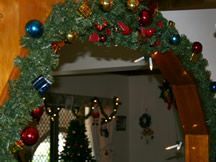 “I love to decorate the doorways in the main living areas with garlands and fairy lights. I also have a bit of a passion for Christmas wreaths and delight in grouping a number on the one wall as an impacting display. Miniature Christmas trees complement the one main large tree which stands pride of place in the lounge room, with ‘presentation presents’ in red and gold arrayed underneath. “I also create a special window display in nine sections which can be seen from outside. It’s a favourite with the grandchildren as well as all the other young ones who come to visit over the season. Often friends drop in with their children to look at all the decorations, so I love to make a special effort to have an array of exhibits for them to enjoy” states Wendy. 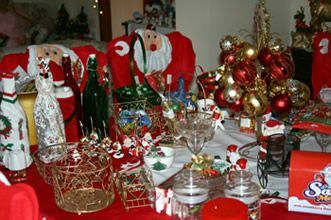 Another such display is the dining room table which Wendy dresses to the nines, with Santa-themed chair covers and a table laden with all sorts of Santa-themed decorations such as Santa napkin rings and plates, candy dishes filled with lollies that are regularly topped up over the season, decorated bottles and more. When the adults gather to take Christmas dinner, Wendy changes it all over to a red and gold theme, with damask tablecloth and cream chair covers trimmed with poinsettias, red serviettes and golden napkin rings, red roses in the middle of the table, and the best china. In keeping with family traditions – so much at the centre of Wendy Melling’s Christmas celebrations – the big day starts by waking at 4am to open presents with the children. When Wendy’s mother was alive, she would gather together with Wendy and clan. Now that the years have moved on, the tradition is maintained by way of Wendy venturing to her daughter’s house where excited grandchildren await to partake in the annual present-opening ritual. And in recent years, a very important and poignant part of the day’s proceedings sees all gathered pay fitting tribute to Ray and all he meant to his family … as they continue to gather together and share the Christmas rituals that have become so much a part of their family tradition.